During the incoming or out-going call, the time is always important. Specially, during the outgoing call, you need to be reminded that enough time is spend on the call and if no more exchange of view is important, the call must be ended. This is always wise to keep your calls ‘brief’ to save money. Here, KitKat helps you by reminding you to keep your phone calls brief. Command Line: Phone Dialer > Settings > Call Settings > IN-CALL VIBRATION – Vibrate every minute. 1: Tap the ‘Phone Dialer’ to open the ‘Phone Dialer’ screen. 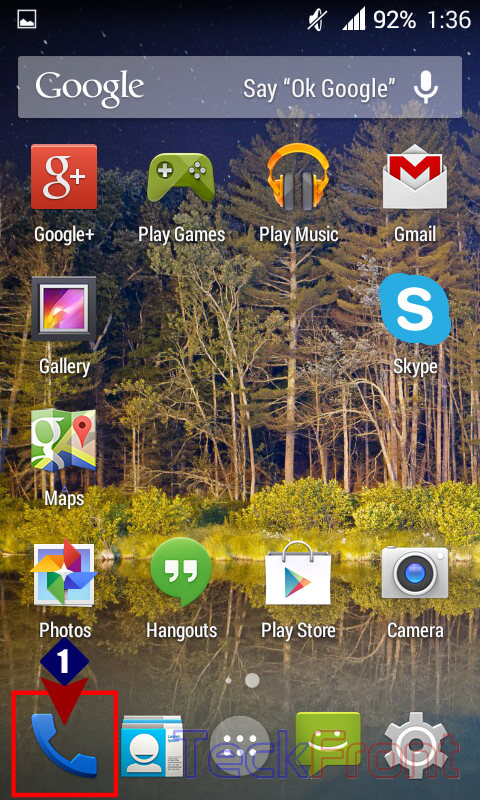 2: At the ‘Phone Dialer’ screen, tap the ‘Settings’ button, available at the right bottom corner of screen. It will open up a popup menu. 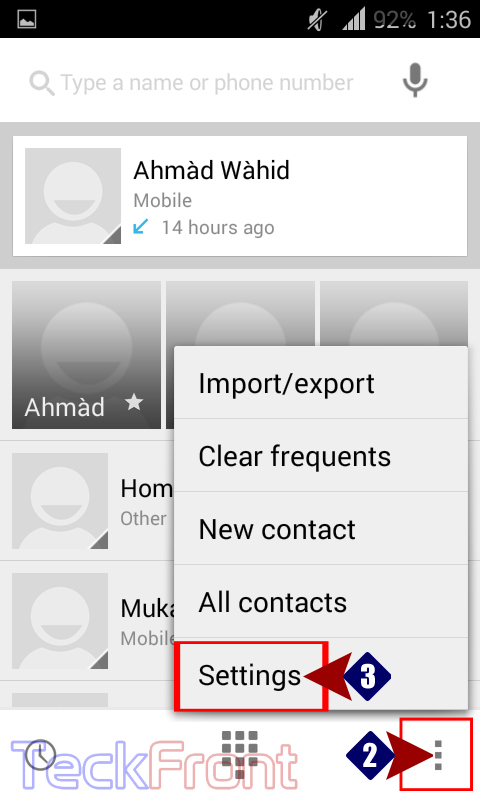 3: In the ‘Settings’ popup menu, tap the ‘Call settings’ to open the ‘Call settings’ screen. 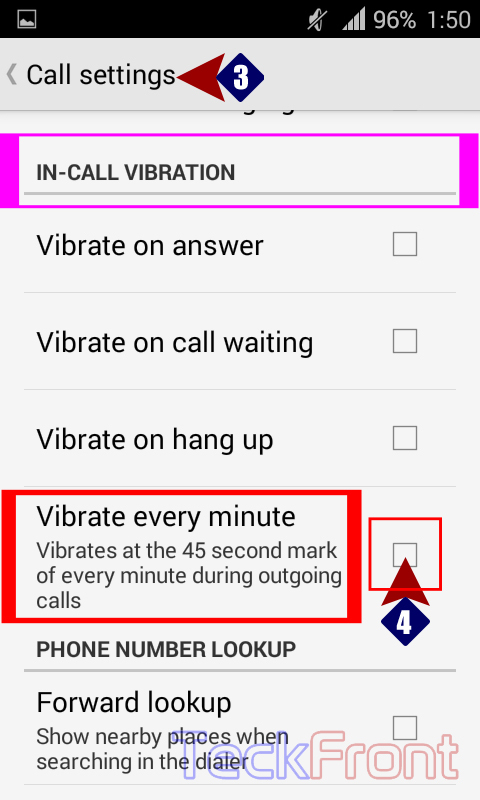 4: In the ‘Call settings’ screen, see the ‘Vibrate every minute’ feature, under the IN-CALL VIBRATION. The ‘Vibrate every minute’ is unchecked and thus disabled. 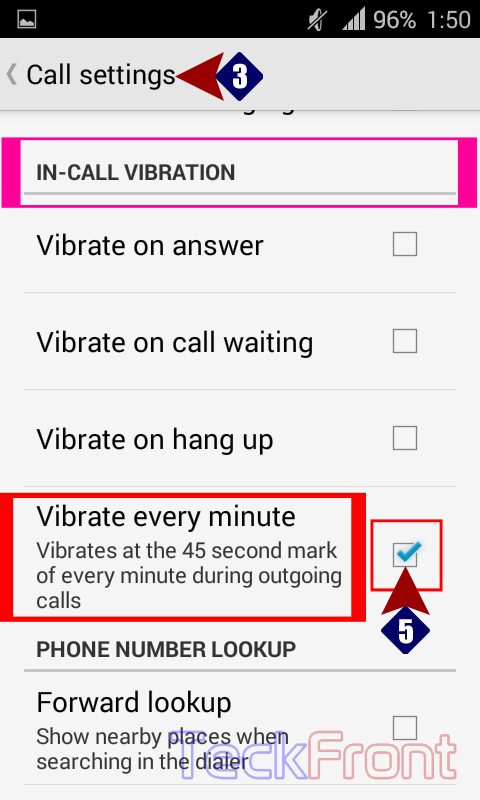 5: Tap the ‘Vibrate every minute’ to check it and enable it. Newer How to Add Voicemail for Always to Your Android KitKat 4.4.2 Phone?